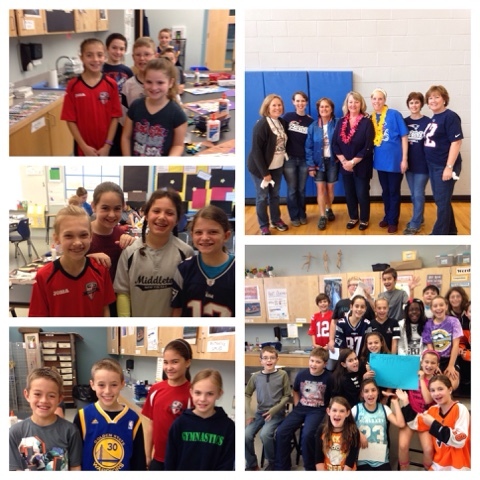 Ms. Nasser's Art Studio: Howe Manning Celebrates Montani Day! It was a bitter sweet day at Howe Manning as we bid farewell and happy retirement to our beloved P.E. teacher of 37 years! 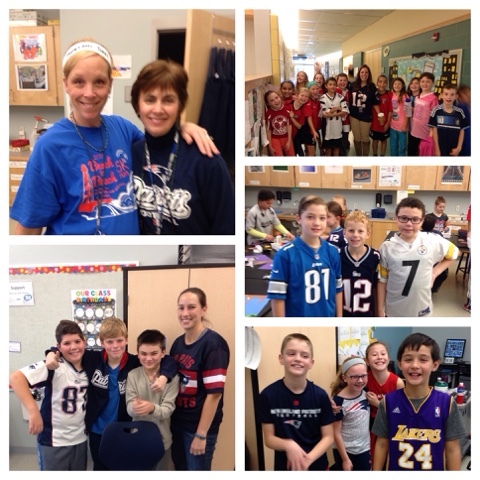 Everyone dressed in their favorite sports attire to celebrate the day and applauded Mrs. Montani each time they saw her in the halls. 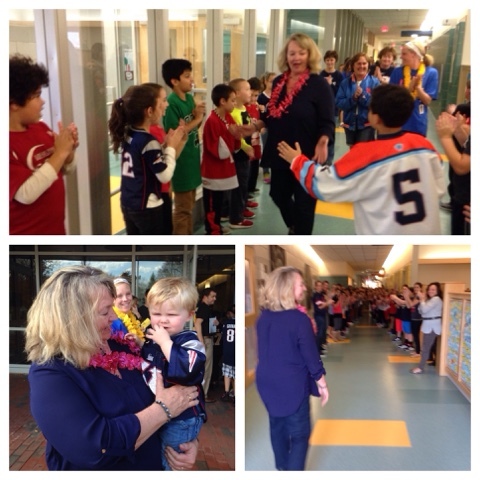 At the end of the day the entire school came out into the halls for one final goodbye to Mrs. Montani. Students applauded, gave high fives, and cheered and cheered. 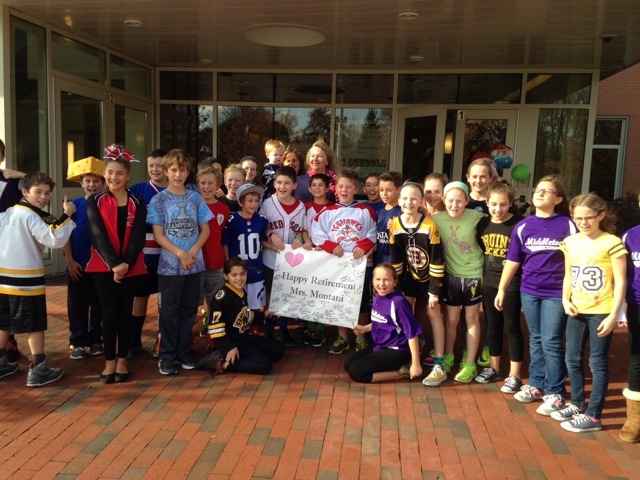 There has even been a request from students to hold a yearly Montani Day every Oct. 29. You can clearly see how loved she is by both students and faculty! you will be missed more than you can know!